Chris's drawings of Eileen Gray's Villa E1027 are included in a new exhibition at the National Taiwan Science Education Center. The show, which opens on the 25th of January and runs until November 24th, features a section on the ground-breaking work and influence of Eileen Gray. Design Our World looks at women's stories and reflects on gendered design challenges, with the aim of bringing a more equitable and sustainable innovation into the world. 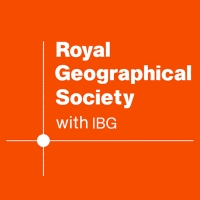 The Royal Geographical Society's Earth Photo exhibition continues at Grizedale Forest from the 11th of October until the 20th of January next year. Chris, and the other nominators for 100%Forward have been invited to show their latest work alogside the talented newcomers. Chris is exhibitig three plywood and ash dowel variations on his new 'Chair-in-a-Day' chair, The woven cushions are by Majeda Clarke. 100% Forward is a new event at 100%Design which will highlight UK emerging design talents, each nominated by one of seven established designers who launched their career at 100% Design. Chris has nominated textile weaver Majeda Clarke. The Royal Geographical Society's Earth Photo exhibition is now up and running and continues until the 21st September at their gallery on Exhibition Road. An A5 postcard book of 12 of the shortlisted entries (including Chris's Blue Field) is available atwww.rgsprintstore.com/collections/stationery/products/earth-photo-postcard-book-uk Price including postage only £6.49 - bargain! Join Alex Hellum, Carl Clerkin, and Chris Eckersley for an experimental two-and-a-half day chair-making course at Messum's Wiltshire. Set in a medieval tithe barn built in 1296, the course will encourage eight makers of mixed ability to explore the idea of design-through-making. On Wednesday the 8th of August, at Messums Wiltshire, Chris will be giving an illustrated talk on the theme of 'design-through-making' and the importance of making things useful and affordable. Supper is available afterwards in 'The Mess'. Chris's photographic study of a field in France has been shortlisted for Earth Photo - an exhibition of 50 exceptional images that document the earth in all its diversity. Earth Photo aims to enable a better understanding of the world around us, focusing on four key themes - People, Nature, Place and Change. The exhibition is at the Royal Geographical Society in London from 23 July to 21 September. Hole & Corner are curating the Makers Barn at this year's festival and have invited the Bodging Project to put on an extempore performance of unplanned making. The team for this event is Alex Hellum, Carl Clerkin, and Chris Eckersley. Please come along; all are welcome for a great day out in the country with loads to see. Saturday 9th June. The project - to build a Welsh cabin in 24 hours - was inspired by the 600-year-old legend (Ty Unnos) that if you build a house in less than a day, with a fire burning in the hearth, then the house and the ground it's built on is yours to keep. 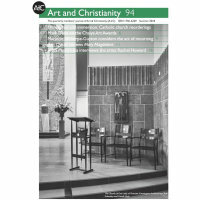 Art and Christianity is a quarterly journal which since 1994 has published features, exhibition and book reviews, news and comment from the field of art and religion. Chris's Reuben chair for Arlo & Jacob is included in the April issue of House Beautiful magazine in their Get the Look feature. 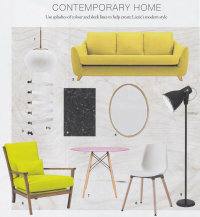 'A wooden frame armchair is useful tucked into a corner, and a strong colour makes a style statement' say HB! 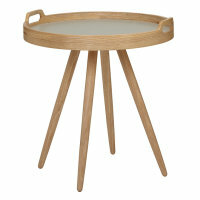 Reuben in Lime with walnut frame is priced at £395 from Arlo & Jacob. The plywood seating, designed by Chris for The Mess cafe and bar, has now been installed at Messums Wiltshire. 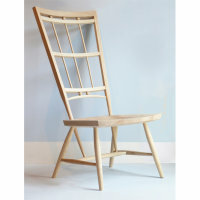 Chris's Jemima chair has just been launched by Arlo & Jacob, and is their first rocking chair. It is made by craftsmen in Derbyshire and the solid beech frame comes with a lifetime guarantee. The upholstery choice includes a huge range of fabrics and prices start at £485. 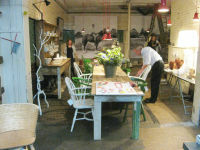 The Mess cafe and bar at Messums Wiltshire has just opened serving delicious Australian-themed brunches and lunches. At the request of Johnny Messum, the bar was designed by Chris as a new version of his plywood sculpture for Messums Wood exhibition of last year. 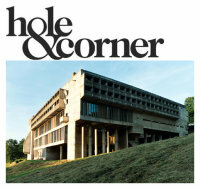 As part of their ongoing My Hole & Corner project, Hole & Corner magazine has featured an interview with Chris talking about his favourite place-of-escape : " Le Corbusier's Couvent de La Tourette. 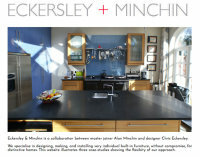 The new website www.eckersleyandminchin.co.uk illustrates their approach by showcasing three unique case-studies..
A new chair, individually hand-made in Japan by the great craftsman Koji Katsuragi is now available via this website (see 'ONLINE SHOP'). The chair takes its name from 'Asuha' - the ancient Japanese god who gave protection on long journeys. Each chair bears Koji's personal stamp, and takes about 8 weeks to arrive. Chris is the sole representative for Koji Katsuragi in the UK. Our Lady of Victories, Chris and Gareth Neal have launched a new website telling the story of the whole project including details of their research into the history of the church and its architect Adrian Gilbert Scott. The project has involved collaborations with some of the UK’s leading craftsmen, resulting in a contemporary Sanctuary for a modern Parish. 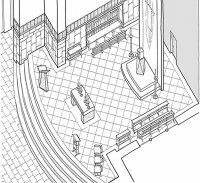 For the last two years Chris and fellow designer Gareth Neal have been collaborating on designs for the re-ordering of the Sanctuary of the Church of Our Lady of Victories on Kensington High Street, London. Working with craftsmen in stone, wood, and brass, Fifteen new pieces have been designed and installed. The Church (which is just across the road from the Design Museum) is open every day during LDF for viewing. 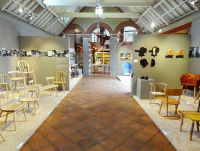 Wood : Design and Inspiration exhibition which opens on Friday. Halfway between furniture and sculpture, Painted Plywood Construction is 4.4 metres long and incorporates painted plywood panels which can be moved by the viewer to give an endless variety of subtle combinations. Chris's Tottenham Court Rocker is featured as an 'object of desire' in the latest issue (08) of Country Living's Modern Rustic. 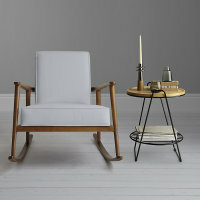 This hand-made rocking chair with distinctive leather seat is available from the 'Online Shop' section of this website (see menu on left), Other leather options are available. The original was made during a Bodging Project event at Heal's Modern Craft Market on Tottenham Court Road. 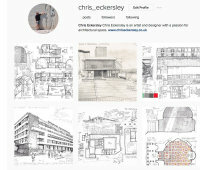 Don't forget that Chris is now on Instagram, with a drawings-only site which is regularly updated and added to. Current posts feature drawings and sketches from Chris's recent Le Corbusier research trip, including this sketch (left) of the Maison Radieuse at Nantes-Reze. Chris, and the other Fellows of the Learned Society of Extra Ordinary Objects, are exhibiting items from their Collection in the Terrace Rooms at Somerset House. The show runs from the 5th of July until the 3rd of September. On display for the first time in nearly 300 years is the famous portrait collection by the artist D.J.Clarke. For the full story click 'ordinary objects' in the menu on the left. Clerkenwell Design Week may have come and gone, but Chris's exhibition of prints and original drawings continues at Morgan London until the 23rd of August. All work is for sale and prints can be ordered online via this website. 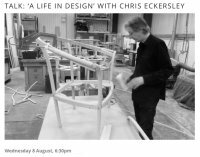 Chris has been invited by Morgan London to talk about his work in furniture, objects, and sculpture, and how his architectural studies form the background to all this. Please join us at 11am on the 23rd May, at Morgan London - all welcome. Chris is showing a new edition of 12 archive-quality fine digital prints based on drawings made at various Le Corbusier sites, plus 18 original drawings, including his award-winning sketch-survey of the Pazzi Chapel. Chris and Sitting Firm are launching the Modern Mendlesham chair with Designersblock at this year's Salone Internazionale del Mobile, in Milan. Chris has based the design on the distinctive regional chairs made in East Anglia from around 1790 to 1830, updated for 21st century living. See us at via Dante 14, Milano, from the 4th until the 9th of April. Chris is now on Instagram specifically posting examples relating to his ongoing love of drawing. The idea is to create a platform for Chris's research into so-called 'good' proportions and the experience of architectural space. The lamps come with a choice of finials which exactly match MBTF's range of handmade curtain poles. Chris is just back from a trip to Utrecht where he has been drawing at the Rietveld-Schroder House in preparation for an exhibition at Morgan London in 2017. The Discerning Eye opened at the Mall Galleries on Thursday. This year there are a record 725 works by over 400 artists on show which is a real mix of painting, drawing, sculpture and multi-media. All works are small - the deal is everything has to be under 50cm in its maximum dimension. Chris's pieces include 162 and two drawings from the Mornings in Florence project. Two paintings and two drawings by Chris have been selected for this year's Discerning Eye exhibition at the Mall Galleries. 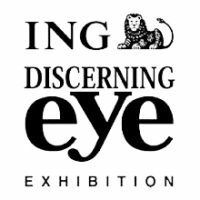 The 2016 Discerning Eye Exhibition will be the 25th show and will open to the public on Thursday 17 November and run until Sunday 27 November. Admission will be free and all works will be for sale. Chris's bar stool design has just gone into production at Sitting Firm Chairmakers. It partners Chris's chair of the same name, which was designed during The Great Heal's Bodging Race at Tottenham Court Road. It's available in English Ash or European Oak, from Sitting Firm, or direct from this webiste (see 'ONLINE SHOP'). 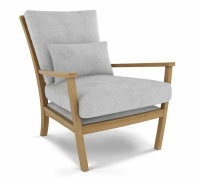 Chris's Reuben armchair is now available exclusively from Arlo & Jacob, either online or from their London showroom. This elegant comfortable chair has either an oak or walnut frame and there's a choice from a huge range of upholstery fabrics. Chris is just back from Lincolnshire where he has installed 15 degrees in the grounds of Doddington Hall as part of their biennial sculpture show. The exhibition opens on the 30th of June and runs until September 11th. Chris's range of spun copper and aluminium pendant light fittings has just been launched by Made By The Forge. This is a direct outcome of the ongoing Forge Project which is a collaboration between designers Anthony Dickens, Chris Eckersley, Gareth Neal, William Warren, and artisan blacksmith and farrier Richard Fishenden and his wife Juliet. 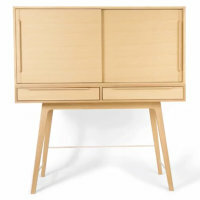 It's just been announced that the Stipo cabinet range, designed by Chris and Sarah Kay for Heal's, has been shortlisted in the Furniture category at this year's Design Week Awards. The winner will be announced on June 14th at an event at the Honourable Artillery Company Gardens. The Barrel Store has just opened at New Brewery Arts, Cirencester. 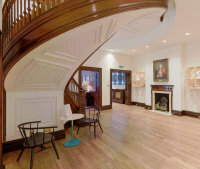 The massive solid oak staircase was designed by Chris in collaboration with architect Nicholas Arbuthnott, and is the main feature of the arts hostel's entrance and central space.The curved walls are lined with sawn ash, giving the impression of the inside of a huge barrel. The second Great Heal's Bodging Race is over and now it's time to find the winner. Click the link below to vote for your favourite bodger. And every vote goes into a prize draw so one lucky voter will receive £100 in Heal's vouchers. Everything made during the race will be on display in Heal's Tottenham Court Road store until the end of April. The 'Friends Bench', designed by Chris Eckersley and commissioned and given by the Friends of the Wilson to Cheltenham Art Gallery and Museum (a.k.a.The Wilson) was unveiled on the 7th of April. Conceived as a modern day tribute to some of the very fine Arts & Crafts pieces in the Museum's collection, and intended as a resting place for visitors, the Wilson Bench was made by Dave Green and his team at Sitting Firm Chairmakers using local Ash from Herefordshire, and Elm from Scotland. Chris and the Bodging Project will again be taking part in a 'race' in the front windows of Heal's on Tottenham Court Road, as part of Heal's Modern Craft Market.The team this year is Carl Clerkin, Chris Eckersley, Dave Green, Gitta Gschwendtner, Sarah Kay, and William Warren - plus a selection of crafty friends. The Stipo cabinet range, designed by Chris and Sarah Kay, has just been launched at Heal's, and is available at their stores and online. 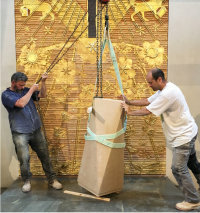 Chris and fellow designer Gareth Neal have been commissioned by the Roman Catholic Church of Our Lady of Victories, London, to collaborate on designs for new furnishings in stone, timber, and metal, for the Sanctuary. This beautiful church was designed by Adrian Gilbert Scott in the 1950s, and is on Kensington High Street. At Heal's store, on Tottenham Court Road, members of the press have just previewed the Stipo range of cabinets-on-stands that Chris has designed in collaboration with Sarah Kay. This is a very versatile range of elegant storage cabinets that can be combined in endless variations with a choice of two stand heights. Stipo will be available in store at Heal's in Spring 2016. In 2013 Cheltenham Art Gallery and Museum reopened as 'The Wilson' after a £6 million pound redevelopment. Chris has been commissioned by The Friends of the Wilson to design and produce a piece of furniture for the Gallery's new foyer. The commission will take the form of a welcoming public bench. Cheltenham Art Gallery and Museum is well known nationally as having a major collection of Arts & Crafts Movement furniture. 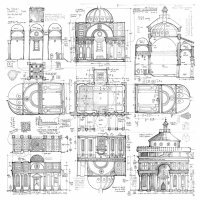 Working closely with Fine Digital Print of Marlborough, a series of archive-quality limited edition signed prints is now available from Chris's award-winning drawing of the Pazzi Chapel, Florence. These may be ordered in the 'order online' section of this website. The drawing is part of Chris's ongoing 'Mornings in Florence' project, an investigation into so-called 'good' proportions. Following the recent refurbishment of the Worshipful Company of Furnituremakers' premises at Austin Friars, London, two of Chris's Devon chairs have been selected for display in the reception area. The occasional table is by Mark Gabbertas. The chairs and table will remain in place until the new year, when other pieces from the Design Guild Mark scheme will be shown. 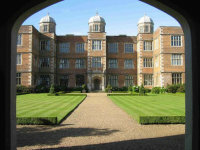 Chris has been selected to take part in next year's outdoor sculpture exhibition at Doddington Hall near Lincoln, a stunning 1590s house designed by the legendary Elizabethan architect Robert Smythson. Chris will be showing his 'systems' piece 15 Degrees. The exhibition will open at the end of July 2016. Chris has been commissioned by New Brewery Arts to design the refectory table and chairs for their new 'Barrel Store' arts hostel in Cirencester. This is an exciting new venture for NBA and will enable them to run residential craft courses and many other events. 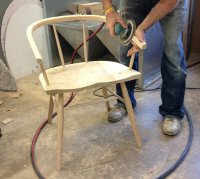 The table and chairs will be made by hand in English Ash from Herefordshire by Dave Green and his team at Sitting Firm. 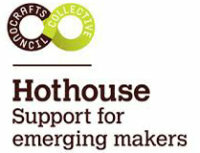 Chris has been invited to join the interview panel for this year's Hothouse which is a Crafts Council initiative to support emerging makers. Hothouse includes one-day and residential workshops, 1:1 mentoring, and connects new makers to a national network of organisations. It provides the tools to grow a sustainable and successful business and has already helped 163 makers establish a strong foundation at the start of their career. 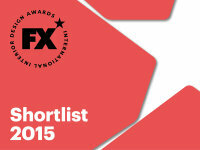 It's just been announced that Chris has been shortlisted for the FX International Design Awards 2015 in the Drawing category. The winner will be announced at an event at the Grosvenor Hotel in London's Park Lane on 25th November. Chris's Tottenham Court Mod chair, which was prototyped during the Great Heal's Bodge earlier this year, is being launched by Sitting Firm Chairmakers at their stand (LS09) at designjunction. The exhibition runs from the 24th to the 27th of September and is at 'The College' - the old Central Saint Martins building on Southampton Row. Other chairs showing are by Sarah Kay, Gitta Gschwendter, Katie Walker, Dave Green, and Koji Katsuragi. 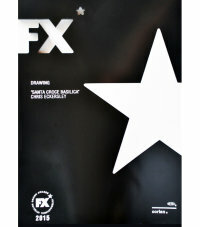 FX magazine have produced a short film about this year's FX Drawing Competition which featured two drawings by Chris of the Pazzi Chapel. Chris has also been chair-seat cording with Jo Morton at Moreton Wood, using a frame from one of his Tottenham Court Rocker chairs. 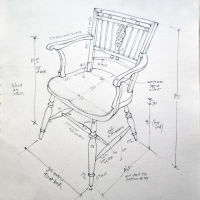 The plan is that this new chair, which was made in prototype form during the Heal's Great Bodging Race earlier this year, will be put into production by Sitting Firm Chairmakers. 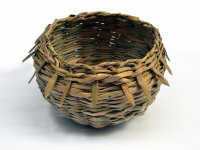 Chris has been basket making with Jo and Paul Morton at Moreton Wood in deepest Herefordshire. Moreton Wood is a beautiful 38 acre woodland managed for conservation and biodiversity by Paul and Jo who are passionate about wildlife and woodland ecology. They celebrate their work by holding fun and informative wildlife events for the local community and others interested in Moreton Wood. Timber that is removed for the good of the woodland ecology is used to make beautiful, individual hand made products. 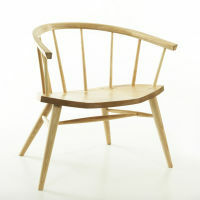 Sitting Firm have just produced a special Elmwood edition of Chris's Coventry chair for online retailer Cox & Cox. Chris's sculpture 15 Degrees has now been installed in the grounds of Quenington Sculpture Trust, and the exhibition Fresh Air opens on Sunday the 14th of June. This is the twelth biennial sculpture show at Quenington and features the work of almost 100 artists. The exhibition is curated by Ana Bianchi, and all work is for sale! It's just been announced that two drawings by Chris (of the Pazzi Chapel) have been selected for this year's FX Drawing Competition. The exhibition opens on the 2nd of July at BDG architecture+design, East Studion Riverside Walk, London SE1. Chris was invited by Miranda Leonard and Fiona Haser - the curators of this year's Pool House exhibition at Fresh Air 2015 - to create a jewellery box inspired by the circular library building at Quenington Old Rectory. Chris has collaborated with Bonner Leather Studio, and woodturners Sitting Firm to produce a beautifully crafted 'box'. The show is at Quenington, Gloucestershire, and opens on Sunday June 14th continuing until Sunday July 5th. Chris will be one of the speakers at this year's SIT:Select Conference in October at Cheltenham Town Hall. Other speakers are : Mark Henderson, Peter Layton, Mary Greensted, and Ptolemy Mann. The theme is : Crafting the Future : Technology and the Handmade. Chris has designed a console or sofa table for Sitting Firm Ltd who were invited by John Lewis to produce a range of occasional tables for their Croft Collection. 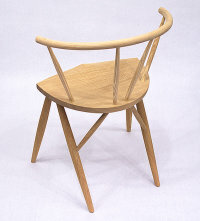 Chris's design references traditional Windsor features - for example steam-bent 'crinoline' stretchers - whilst remaining a contemporary piece in English Ash from Herefordshire. Chris has designed a table with lift off tray for Sitting Firm Ltd who were invited by John Lewis to produce a range of occasional tables for their Croft Collection spring/summer 2015. The tray, which can be used on its own without the table, makes use of 'Shaker' technology for its steam-bent rim, and has a heat-proof Linoleum surface. It's just been announced that Chris is one of the artists selected for this year's Fresh Air Sculpture Biennale to be held from June 14th until the 5th of July in the grounds of the Quenington Sculpture Trust, Gloucestershire. Chris is making a new powder-coated steel sculpture for the show; the maquette is shown here. The first exhibition of the year at the RBSA Galleries in Birmingham previews on Thursday 26th February at 6pm. The exhibition, which includes a recent 'systems' painting by Chris, showcases work by artists from across the UK working in a variety of media, and will run until the 28th of March. The third Open Exhibition at the Harley Gallery has its opening party at 1pm on the 14th of February, and runs until the 12th of April. Two paintings by Chris are included : 10 degrees and 6 by 6 and 10 degress and 7 by 7. This year's selectors were James Green (printmaker), Julian Bray (painter), and curators: Lesley Beale (Lakeside Arts Centre, Nottingham), and Kirstie Hamilton (Museums Sheffield). On 13th February Chris is one of the guest critics at the CASS School of Design, reviewing the work of students on the Furniture/ Product courses. 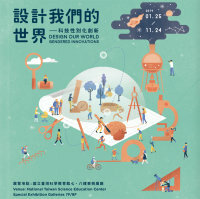 This is part of 'Celebration Week', when undergraduate and postgraduate students show their work to a small selected panel of external critics as well as their peers. 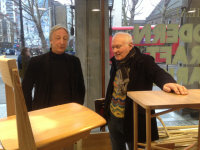 Design legend Sir Kenneth Grange came into Heal's on Thursday (12th Feb) to cast his vote at the Great heal's Bodging Race. The Great Heal's Bodging Race is now over and it's time for the votes to be cast. 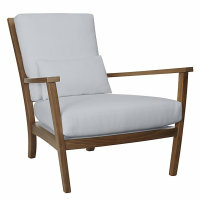 Chris's lounge rocking chair, named Jonna by John Lewis, has just been launched. This chair has an exposed stained beech frame that sits beautifully on rocker sleds. It's available in a very wide range of fabrics for the upholstery. Chris's Osborne lounge chair has just been launched by John Lewis, who have (slightly bizarrely) renamed it Hanoi. Hanoi has a high back, tapered legs and a lumbar cushion for additional support. 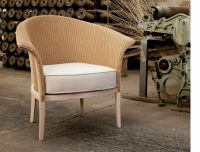 It is available in either a solid oak or walnut frame, and is available in a very wide range of fabrics for the upholstery. 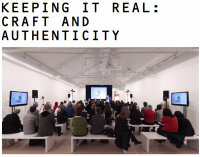 Chaired by Crafts editor Grant Gibson and featuring Chris, Studio Manifold’s Zachary Eastwood-Bloom and up-and-coming designer Xenia Moseley – this event sets out to discover where the limits of craft reside and begs the question: what precisely is ‘real’ craft. All are welcome : the venue is Heal's at 6pm on Wednesday 11th February. Hole & Corner magazine have been coveing The Great Heal's Bodging Race and have made a series of filmed interviews with Carl Clerkin, Gareth Neal, Sarah Kay, Chris, and William Warren. 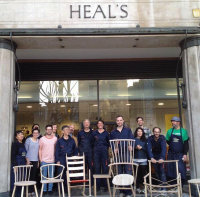 As part of Heal's Modern Craft Market 2015 Chris and the Bodging Project have been invited to stage an experimental furniture-making workshop in the front window of Heal's store in Tottenham Court Road. Two paintings by Chris have been selected for the third biennial open exhibition at the Harley Gallery, Welbeck. The show opens on the 14th February and will run until the 12th of April. 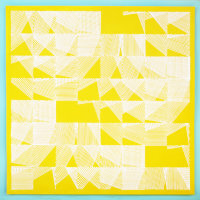 One of Chris's paintings is previewed here - titled 10 degrees and 6 by 6. 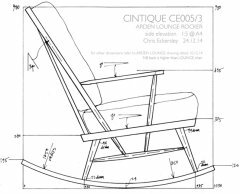 Chris has designed a range of lounge furniture - called Eden - for Cintique Ltd. The range includes upholstered single and two-seater ash-framed chairs, and a choice of two rocking chairs. 'Eden', which is a development of Chris's Arden dining chairs, will be launched at the AIS Furniture Show, which runs from the 12th - 14th January, at Cranmore Park in Birmingham. Chris's Osborne chair for Wade Upholstery has been selected by John Lewis for their new collection to be launched in all their stores in the New Year. Here's a little preview of the frames in the finishing shop at Long Eaton before the cushions are added and the chairs are delivered in January. The twentieth Discerning Eye show opened at the Mall Galleries on Thursday, and runs until the 23rd of November. 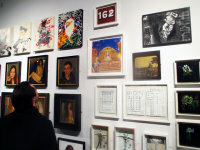 This is a huge exhibition of 657 small works by over three hundred artists. Chris's painting Delight this Life was selected by Simon Martin, artistic director of the Pallant House Gallery, Chichester. The wonderful California-based magazine and website Handful of Salt is currently featuring Chris's exhibition Real Craft. 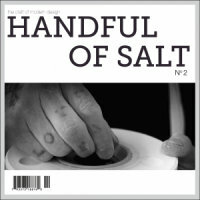 Handful of Salt is the home of the modern artisanal movement in the USA, covering the intersection of craft and design. The magazine is edited by Regina Connell, a San Francisco Bay Area writer and speaker specializing in design, contemporary craft, and alternative luxury. Chris has been invited by New Brewery Arts to curate an exhibition for their gallery; the show opens on October the 4th and runs until the 16th of November. The theme is Real Craft and is based on a personal view of craft which is more concerned with the idea of MAKING THINGS than with craft as a vehicle for Fine Art. Chris's Coventry chairs have been selected by Brasserie Blanc for seating at their restaurants in Cheltenham and in Winchester. The chairs are handmade by Sitting Firm Chairmakers in English Ash with Elm seats and back rails. 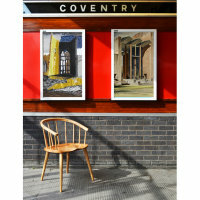 The photograph shows a chair at Coventry's architecturally outstanding raiiway station (designed by W R Headley, and opened in 1962). 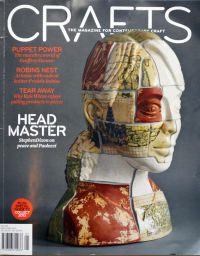 CRAFTS magazine is out now. It's just been announced that Chris's painting Delight This Life has been selected for this year's Discerning Eye exhibition at the Mall Galleries. The show runs from the 13th to the 23rd of November. In advance of Chris's exhibition Real Craft which opens at New Brewery Arts, Cirencester, on October 4th, Chris was asked by the Crafts Council to write a piece for the current issue of their magazine CRAFTS, explaining some of the ideas behind the show. 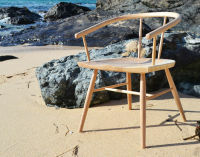 Chris's Cornwall chair, which he first made in prototype form last year at the Great Windsor Chair Race, and then refined and developed during a trip to Cornwall, has just been launched by Liberty & Co as part of their Autumn/Winter Collection 2014. 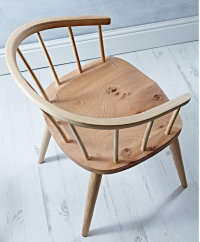 The chair is handmade in English Ash from Herefordshire by Dave Green and his team. 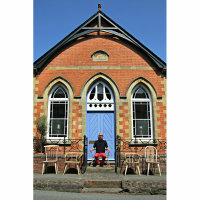 On a brilliant hot day design-writer and photographer Barbara Chandler came to visit Chris at his chapel in Herefordshire as part of her research for 20 20 Vision - 20 years of 100%Design. Barbara has been commissioned by 100% to present a series of photographs for London Design Festival on the theme : Where are they now? A show of photographs to celebrate the present success of twenty past exhibitors on the occasion of the twentieth exhibition. 100%Design will be at Earl's Court, London from the 17-20 September 2014. Chris has been back at Le Corbusier's Unité d'Habitation in Marseille making a series of new drawings. These are available as archive quality signed prints on 300gsm Arches paper, and may be bought via the order online section of this website. The sideboard Chris designed in collaboration with Sarah Kay for Contemporary Applied Art's stand at Design Shanghai is now back (by sea) from China and is on display at the CAA gallery in Southwark Sreet, London. This piece was very beautifully made by Jeremy Higson of FFB Ltd, Worcestershire. Chris's new Osborne Lounge Chair, manufactured by Cintique, is being launched at the May Design Series held at ExCel in London from Sunday 18th - Tuesday 20th May. Cintique are on stand E290. The Royal College of Art has ordered a pair of Chris's Devon chairs for the reception area at its Sculpture studio in SW11. These will sit either side of a bench designed by Sarah Kay. 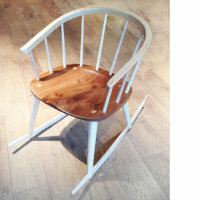 Chris has designed a rocking version of his Coventry chair as a one-off piece for a private client. This chair was made as a special birthday present for the client's wife; enquires for bespoke pieces like this are always welcome. 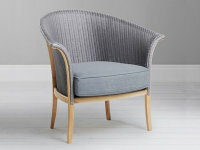 Chris's Lloyd Loom chair is one of seven exclusive pieces commissioned by John Lewis to mark their 150th anniversary. The other chairs are from Ercol, Vitra, and Parker Knoll. The Forge Project (Anthony Dickens, Chris Eckersley, Gareth Neal, and William Warren) reconvened at Made By The Forge in Suffolk last weekend to move forward their new designs for hand-forged lighting with master-farrier and blacksmith Richard Fishenden, and his wife Juliet. We are all working towards the launch of a new collection at London Design Week in September. Chris is exhibiting chairs and birdhouses in an exhibition curated by madebyhand at Unit Twelve - a gallery on a farm in rural Staffordshire. The show runs from 6th March until the end of May, and is open Thursday - Saturday, 10am - 4pm. Chris is exhibiting his Devon and Coventry chairs with Sitting Firm Chairmakers and the University of Coventry, at their stand at Design Shanghai. Manning the exhibition is designer Bob Verheijden who is launching a new chair; also showing are Dave Green and Katie Walker. This is China's first truly international design event and is expected to attract over 40,000 visitors. The exhibition runs from the 27th February until the 2nd of March. Chris is exhibiting a sideboard, designed in collaboration with Contemporary Applied Arts member Sarah Kay, on the CAA stand at Design Shanghai. 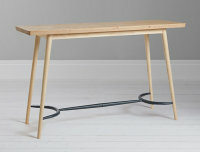 This beautifully crafted piece, made by Jeremy Higson, is in a combination of rippled sycamore veeneers and solid oak. It's just been announced that Chris has been awarded the Hicks Purchase Prize at the Discerning Eye exhibition, for his drawing of 'A Day at the Pantheon'. Chris and his old art-school friend Philip Woods have been out landscape painting on Hergest Ridge, Herefordshire. This is the first in a series of proposed events throughout the next 12 months. Chris's Cornwall chair, which he made in prototype form at this year's Great Windsor Chair Race, and then refined and developed during a trip to Cornwall, is about to go into production. For further details please telephone or email. Two drawings and one painting by Chris have been selected for the 2013 Discerning Eye exhibition. This year's show was selected by artists Stephen Farthing and Eileen Hogan, collectors Loyd Grossman and Deborah Swallow (director of the Courtauld Institute), and critics Liz Anderson (The Spectator) and Estelle Lovatt. 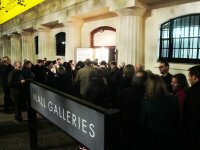 The exhibition will run from the 14th to the 24th of November at the Mall Galleries in London. Sitting Firm Ltd have been short-listed for 'Best British Brand' in the British Design Awards 2013, for their range which features Chris's Devon Bench. 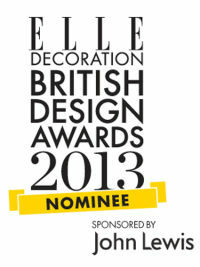 and the winner will be announced in the December issue of Elle Decoration magazine (published on November 6th). 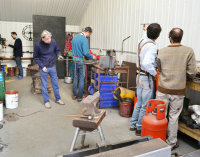 Chris and fellow designers Anthony Dickens, Gareth Neal, and William Warren were invited by Made by the Forge to spend a day in Suffolk learning some of the traditional skills of hand wrought ironwork. The aim is to come up with new designs and then return for a few days in September to make prototypes. 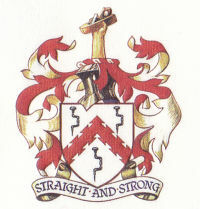 Successful designs will be added to the company's range. Chris has been at Christchurch Mansion in Ipswich to research and make measured drawings of their collection of Mendlesham chairs. These chairs, dating from the early 19th century, are a regional variation of the English Windsor chair, bizarrely combining a classical back with a country seat and legs. Chris has designed fifty chairs - all different - for Lady Bamford's Wild Rabbit pub and restaurant at Kingham in Oxfordshire. The brief was simple : each chair to be a variation on a traditional West Country design, and the look to be what the French call jolie laide. Chairs by Chris, Sarah Kay, Koji Katsuragi, and Dave Green are part of The New Craftsmen's current exhibition in a former garage (and before that a stable) at 14 Adam Mews, Mayfair - an old mews lane at the side of the Connaught Hotel. The New Craftsmen Garage opens on 7th June 2013, and guests can buy, commission and experience an eclectic selection of handmade items, including some stunning wood-fired saltglaze pots by Tim Hurn. On the weekend of the 11th and 12th of May, Chris, Gareth Neal, William Warren, and members of the public, will be demonstrating the art of broomstick bodging at the Harley Gallery, Welbeck, Worksop, Nottinghamshire. 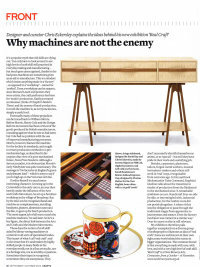 To coincide with the Harley Gallery show, Chris was invited to write a piece for the 'Opinion' page of the Crafts Council's Crafts magazine, giving his views on the experience of designers working in the area of craft. 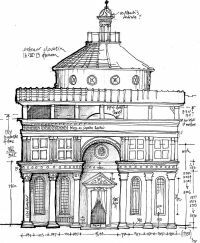 Chris has been back at the Capella Pazzi at S. Croce in Florence, continuing his series of measured drawings of this early example of Renaissance thinking. The aim of the project is to track down the elusive Florentine braccio and discover how this relates to the underlying logic of the design of the building. The Harley Gallery at Welbeck, the centre in the East Midlands for contemporary art and craft, is hosting a comprehensive exhibition of pieces from Bodging Milano and the Lloyd Loom Elves throughout its three main galleries. In addition work by some of the group made before and after their time spent bodging will be exhibited in order to show how the experience of traditional craftwork has affected the designers' practice. March 27th until June 2nd. A fully illustrated 100-page exhibition catalogue, edited by Chris Eckersley, with an introduction by David Dewing (Geffrye Museum) and essays by Grant Gibson (Crafts Council), Amos Marchant, Gareth Neal, William Warren, Simon Maidment, and others, is now available from on-demand printers 'Blurb'. Chris's Spalding chair for Lloyd Loom is going into factory production, and, along with four other pieces from the 'Elves' project, will be added to the classic Lloyd Loom range early in 2013. One weekend in June five designers crept into the Lloyd Loom factory in Spalding, helped themselves to furniture components, and between them made a collection of thirteen new products, which the factory staff discovered on Monday morning. Lloyd Loom have developed seven pieces for prototyping, which will be shown at designjunction during London Design Festival. Designersblock are showing a collection of woodland chairs made by the second group of Milano Bodgers, at the Royal Festival Hall and the Queen Elizabeth Hall, Southbank. This will mark the fifteenth annual Designersblock London show. Sitting Firm Chairmakers are launcing a new bench designed by Chris - Devon Bench - on their stand at designjunction . The show runs from the 19th - 23rd September at The Sorting Office, New Oxford Street, London. 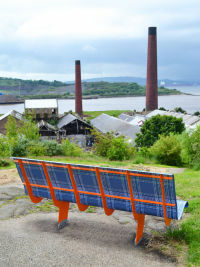 The 22nd of June marks the official launch of the Fife Bench project. Eighteen public benches (designed by Chris Eckersley and William Warren) have now been installed around the Ancient Kingdom of Fife. 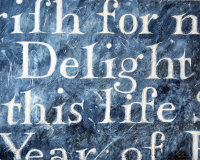 Click on www.fifebench.org.uk/ for more details, and find out how you can follow the Fife Bench Trail. The bench in this photograph is at a road junction in Buckhaven. For the second year Chris Eckersley, Carl Clerkin, Gareth Neal, and William Warren are presenting The Great Windsor Chair Race at this lovely event in the Devon countryside. Many thanks to Ercol who are kindly sponsoring us again by donating components. 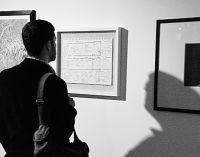 The Jerwood Drawing Prize exhibition moves to the Lanchester Gallery, Jordan Well, Coventry, and the show is on from the 2nd to the 31st of March. At Interiors 2012 at the NEC, Birmingham, Chris is showing chairs and a new coffee table with Sitting Firm in Hall 1; colour charts in the press/VIP Lounge in Hall 2; and bird houses with Designersblock in their Design Village, - also in Hall 2. The show is on from the 22nd to the 25th of January. The production version of Chris's Devon chair is being launched by manufacturers Sitting Firm Chairmakers at 'Home' - the brand new homewares show. The exhibition runs from the 15th - 17th of January at Earl's Court 2, London. All eighteen public benches, designed by Chris and William Warren, have now been installed around the ancient kingdom of Fife. Some have views of the Firth of Forth, another has a view of a traffic roundabout, but all have been well received by the locals. Residents' group CLEAR have described the benches as 'a real asset'. 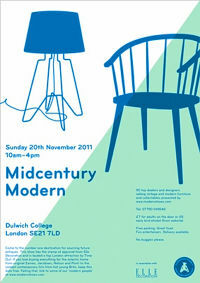 Chris, along with Dave Green and William Warren, will be exhibiting for one day only at Midcentury Modern, on Sunday 20th November, from 10am until 4pm, at Dulwich College, London. We have a selection of new work all now in production at Dave Green's re-formed company - Sitting Firm Chairmakers. Chris's drawing of a room at Le Corbusier's Unite d'Habitation can be seen at the Jerwood Drawing Prize exhibition, Jerwood Space, 171 Union Street, Bankside, London. The show is on from the 14th of Septmber until the 30th of October. Chris has designed a new sideboard - Arden Two - for Liberty, featuring an exclusive colour palette derived from his Winterbourne Colour Charts project. Available now from Liberty's furniture department. Chris's Byrdhouses are showcased at Yorkshire Sculpture Park, along with paper flowers made by artist Suzi McLaughlin. The exhibition runs until September the 4th. At this year's Contemporary Craft Fair, Chris and fellow designers Carl Clerkin and William Warren are staging The Great Windsor Chair Race - a three day competition to see who can make the most, or the best, or the most innovative Windsor Chair, from components kindly donated by ERCOL. On the 60th anniversary of the Festival of Britain, Chris, along with Wayne Hemingway, Matthew Hilton, and Russell Pinch, are interviewed by FX Magazine on the subject of how mid-century design casts its influence on the design of today. 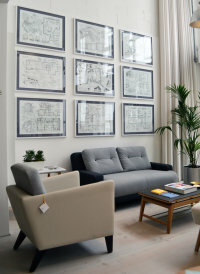 The Bodging Milano group is showing a representative selection of the current range as part of Clerkenwell Design Week. The show is on from the 24th - 26th May in the Farmiloe Building, St John Street, London. 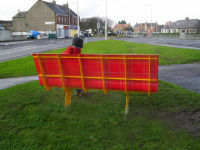 The prototype bench is now being made at Thornton, in Fife, and local residents are helping to choose the colour combination for the benches in their area. Click on this link www.paceprojects.org/fifebench/colour-picker/ use the interactive colour picker, and see which colours you prefer. Chris has made some new wall-mounted bird houses for the exhibition Vogelschau ('Bird-show') at the Crafts2eu Gallery in Hamburg. The show opens on the 27th of April and continues until the 18th of June. Chris and the Milano Bodgers are exhibiting with Designersblock as part of Ventura Lambrate, from the 12th to the 17th of April. This show will launch the collection of chairs produced at Dave green's Sitting Firm factory. In addition you can order a chair online from the Bodging Collection. Collect the set! 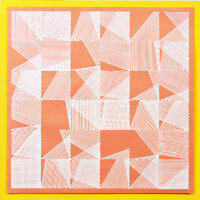 Chris is exhibiting new work with Designersblock as part of Thinking Space at Interiors 2011 at the NEC, Birmingham. The exhibition runs from the 23rd to the 26th of January. Chris's Byrdhouses are featured in the new book 1000 Designs for the Garden and Where to Find Them by Geraldine and Ian Rudge, published by Laurence King. For one day only, on Sunday November 14th, Chris is exhibiting new work with Assemblyroom and Sitting Firm at Midcentury Modern - a selling exhibition at Dulwich College, London. Following the Bodging group's show at the Bargehouse during London Design Week, all the chairs are now being shown in a selling exhibition at Barbed in Barnes, West London, until the 8th of November. 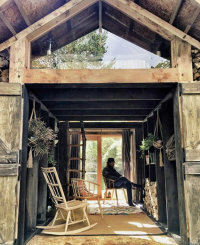 Chris's A-Frame Pavilion - manufactured by Sitting Firm Ltd - will be exhibited on their stand at Grand Designs Live, at the NEC, 8th-10th October. Chris has designed a new desk and home office furniture for the pavilion interior. See us at Stand G520. Chris and fellow designer William Warren have been selected by public art commissioning body PACE to work on designs for public seating for five locations in the ancient Kingdom of Fife. 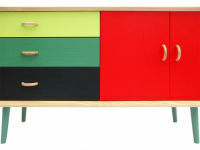 Chris's Arden sideboard in solid Ash with painted sliding doors is now available at Liberty's in London. See it in the furniture department on the top floor. 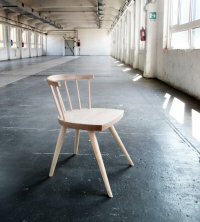 During July, August and September, the Crafts Council is exhibiting the Bodging Milano group of chairs at the Ministerial Office of the Department of Culture Media and Sport. Greenwood chairs from the Bodging Milano project are on show at Spazio Revel, Via Thaon di Revel, Isola, Milan, from April 14th to the 19th, as part of Designersblock Milan 10:10. Seven into Six - a recent painting by Chris Eckersley - is one of 140 works by Midlands-based artists selected for the exhibition West Midlands Open. The show runs from 6 March until 2 May at the Gas Hall, Birmingham Museum and Art Gallery. Chris is taking part in the exhibition Reap and Sew at the Oriel Myrddin Gallery, Church Lane, Carmarthen, which opens on the 27th February until the 3rd of April. The show features a selection of craft and design objects influenced by gardens and growth. Launched at Thinking Space at the NEC is a sculptural bench designed by Chris and made from half an oak tree, sliced into boards and then cut to form a garden seat, the bench is named after photographer and design-writer Barbara Chandler, whose chance remark to Chris at 100%Design gave him the idea. Chris Eckersley is exhibiting with Designersblock at Thinking Space, which is part of Interiors 2010 at the NEC, Birmingham. The show is from the 24th to 27th January and sees the launch of Chris's A-Frame Pavilion. OK - yes - we're showing a garden pavilion at an Interiors show! Chris is exhibiting a cut paper collage - From White to Black -in the current exhibition at the Royal Birmingham Society of Artists. The show is on from the 18th November until the 24th December, at the RBSA Gallery, 4 Brook Street, Birmingham B3 1SA. For the last year Chris has been acting as architectural draughtsman on a project with Nigel Gilks Cabinetmakers, of Winchcombe, Gloucestershire. Nigel's brief was to create seventeen doorways in the style of Robert Adam, for a house in Berkshire. One of these stole the show earlier this month at the annual Historic Buildings, Parks and Gardens Event in London, thus disproving the theory that there are no skilled craftsmen left in this country! Follow this link : www.elladoran.co.uk/index.php?id=news and you can view all the placemats in Ella Doran's current exhibition. Also you can place your bid in the silent auction - please bid before October 3rd and help raise money for Shelter. Chris is exhibiting new work - designed for Sitting Firm Ltd - at Designersblock which this year is alongside 100%Design at London's Earl's Court. See us in the second hall on Stand D14. Chris is among 22 artists and designers invited by Ella Doran to design a set of table mats on the theme There's No Place Like Home for a selling exhibition of limited edition mats to take place at Ella's Cheshire Street shop from September 9th to October 3rd. All profits will go to the charity Shelter. A selection of Chris's Byrdhouses is in the current exhibition at 78 Derngate, Northampton - the Charles Rennie Mackintosh House and Gallery. The show runs from July 18th until October 4th. 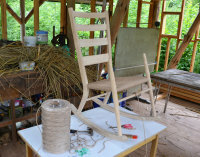 Chris has been learning the secrets of greenwood Windsor chair-making from Gudrun Leitz at her outdoor workshop in Clissett's Wood, Herefordshire. June 2009 - Wee Birdy Pick of the Week ! Chris's Byrdhouses are this week's pick-of-the-week on the ever-popular top blog Wee Birdy. 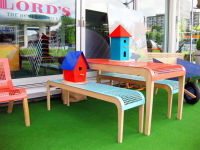 Chris's colourful French table and bench set, in powder-coated steel on solid oak frames, and his new StarStar planters are now available from Barbed Ltd, the fantastic store in Barnes (West London) which promises you a new look at outer space. Chris is exhibiting with New Brewery Arts in the Pool House at Fresh Air 2009 in the gardens of Quenington Old Rectory, Near Cirencester, Gloucestershire. The exhibition runs from 14 June to 4 July and is open from 10am to 5pm daily. Chris is exhibiting new work including digital prints and furniture at this year's Contemporary Craft Fair, held in the beautiful Devon countryside town of Bovey Tracey. 5-7 June, from 10am to 5pm daily. Chris is exhibiting again this year at Chelsea Flower Show - this time with four other members of Design Nation : Ella Doran, Sharon Elphick, Katy Holford, and Carole Waller. New work will include Chris's StarStar planters. See us on Cross Way at Stand CW/04, 8am to 8pm daily (Saturday 8am - 5.30pm), 19 -23 May. Chris has been working on a new dining table and chair range with Coventry-based furniture-makers Sitting Firm which will be launched at the Milan Furniture Fair, as part of the exhibition Smile. 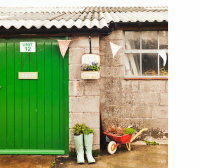 Chris's wheelbarrow-seat - Juliette - is now available at the wonderful Burford Garden Company, Oxfordshire. Final showing for the Top Dog exhibition is at Bilston Craft Gallery, from 7th March to 16th May. Jane Bevan's Top Dog exhibition (featuring Chris's Byrdhouses ) is now showing at New Brewery Arts in Cirencester, Gloucestershire. The show is on from 10th January to the 1st March. Juliette (Chris's wheelbarrow-that-is-also-a-garden- seat) has been chosen by Sir Terence to be included in his new book Terence Conran's Inspiration. Co-authored with design writer Stafford Cliff, the book is published on the 15th September, price £40. For the first time in many years Chris is exhibiting at Decorex which is held from the 21st - 24th September at the Royal Hospital, Chelsea, London. 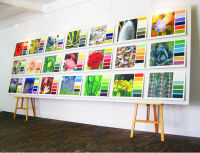 Chris is showing with Design Nation on stand F209, and all the work on the stand this year will have an outdoor theme. Chris has been invited by Artsfest to display a range of recent work in the grand entrance hall of Birmingham Council House during the weekend of 13th and 14th September. Everything at Artsfest is free and the festival features a huge number of events around the city. Chris Eckersley's dining-table and chair design for Neville Johnson Ltd has been short-listed for this year's Eureka Award, which celebrates successful collaboration between British designers, manufacturers and retailers. The furniture - called Kite - forms part of an exhibition at the Royal Festival Hall, London, from the 11th to the 18th of September. 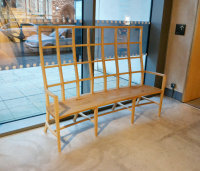 Chris's Rockin' Bench has been selected by the Arts Council for their stand at the first Design Show Liverpool which takes places at the Contemporary Urban Centre, Greenland Street, Liverpool, from the 19th - 22nd June. Chris is exhibiting again this year at the Contemporary Craft Fair, which takes place in the lovely setting of Bovey Tracey, Devon. The show is open from the 6th to the 8th of June at Mill Marsh Park. New work includes a highly colourful range of deckchairs, printed with designs from Chris's Harbour images. May 2008 - Impress the birds in Scunthorpe! The Top Dog exhibition has now moved to the 20-21 Visual Arts Centre in Scunthorpe and on the 30th and 31st May there is a children's activity event to design and make 'a bird feeder influenced by the school of Bauhaus and the bold geometric bird boxes by Chris Eckersley'. Chris is one of more than 40 artists to have donated work to this year's Cure Leukaemia art auction, which will be held on 20th May in 'the opulent surroundings' of the Banking Hall of Wragge and Co, 55 Colmore Row, Birmingham. Bidding starts at 7.30pm. April 8th saw artists Chris Eckersley, Louise Greenfield, and Dae Hun Kwon collaborating in an event at Jasmine Studios, Shepherd's Bush, London, curated by Rita Parente of Submit2Gravity. Chris is exhibiting with The Devon Guild of Craftsmen at their Christmas selling exhibition Gifted at Riverside Mill, Bovey Tracey, Devon, from the 17th November until the 31st December. Chris's piece is Rockin' Bench - a rocking version of his oak garden bench. Chris is one of 23 artists and designers exhibiting at Top Dog - Designed with Animals in Mind which opens at Bradford 1 Gallery on 16th November and runs until 2nd March 2008. The exhibition will then tour nationwide and will end up at Bilston Craft Gallery in March - June 2009. Chris is showing three Byrdhouses, a dog basket, and a cat basket. Chris is participating in the Autumn Exhibition at Barbed in Barnes High Street, London SW13. The exhibition runs from October 11th until November 2nd. Chris Eckersley is exhibiting again with Design-Nation at this year's 100%DESIGN, held at Earl's Court, London. The show runs from September 20th to 23rd, and Design-Nation are at stand H39. Chris is launching Donald - a versatile new range of shelving and wall storage in oak veneer with Formica panels. Chris's colourful (almost Technicolor!) Gas Street prints have been chosen for the living room at the Any Dream Will Do house, where the twelve finalists will live whilst being selected for the lead in Joseph And The Amazing Technicolor Dreamcoat. Catch it on BBC1, Saturday evenings at 7.45, until June 4th. The Contemporary Craft Fair, in association with the Crafts Council, is one of the largest and highest quality shows in the country. Chris will be among the 160 designer-makers exhibiting this year. Mill Marsh Park, Bovey Tracey, Devon, from the 8th to 10th of June. Chris will be exhibiting again this year at Chelsea. Existing ranges will be available along with some new items specially designed for the show. All Chris's garden furniture now bears the FSC label which identifies products that promote resposible management of the world's forests. Stand No. 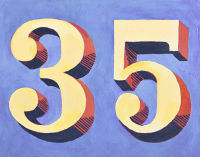 CW5. Tuesday 22nd May - Saturday 26th. Chris has been invited by the Dean of Gloucester to exhibit his sound-sculpture The Note C in the Cloisters of Gloucester Cathedral from 11th - 30th of April. The installation will occupy all four sides of the fourteenth-century cloisters. Chris is participating in Art Auction 2007, a three day exhibition of contemporary art in Birmingham, raising money for the new Leukaemia Centre at University Hospital, Birmingham. From Sunday April 15th to Tuesday April 17th at St Paul's Gallery, Northwood Street, Birmingham B3. Abandoned Chairs is an exhibition organised by artist Paul Kuzemczak of 60 chair photographs from around the world. Chris's photograph shows an Eames chair abandoned in Willows Road, Birmingham, in the summer of 2006. The exhibition is at Norwich Arts Centre and runs from 15 January to 28 February, and an illustrated book is available, price £5. Chris's garden furniture products have been certified (SA-COC-1654-BI) in accordance with the requirements of the Forest Stewardship Council, which guarantees that they are in compliance with high environmental and social standards for responsible forest management. By buying FSC certified products you are promoting responsible management of the world's forests. Chris has been commissioned by Create UK to present The Note C as part of Digital Scarborough. The installation can be seen at South Bay Underground Car Park from 10th - 12th October from 12noon until 5pm, daily. At 100%Design this year, Chris Eckersley is exhibiting with Design Nation on stand M110 and is launching Echo - a new range of occasional tables, manufactured by Jeremy Higson Ltd. 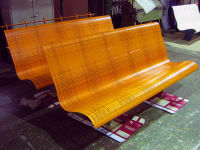 The table tops feature a variety of surfaces; from Formica to inlaid veneer. September 21st - 24th, Earl's Court, London. Chris has been appointed as Principal External Examiner for the BA (Hons) Interior and Spatial Design course at the University of Hertfordshire. At Penzance Arts Club, from April 11th - May 7th, Chris will be showing Gas Street - a new series of prints. These are inspired by the shapes and colours around Gas Street canal basin in Birmingham, and form an interesting contrast with Chris's Harbour prints of 2003. Chris is showing new work at Seeds and Seats, an exhibition opening on 7th October and running until the end of November at Barbed Ltd, 3 Liffords Place, Barnes High Street, London SW13. Included is 'Juliette' - a garden-seat-which-is-also-a-wheelbarrow. Chris is launching a new range of metal and wood furniture at 100%Design. This is the UK's premier design event and is held at Earl's Court from 22nd to 25th September. The Trombé range is now available in London at Ella Doran's newly opened studio and shop in Cheshire Street, E2 - and also at The Garden Design Studio in Columbia Road, home of the popular Sunday morning flower market. The Trombé range is now available in France through Le Prince Jardinier, the charming boutique of Prince Louis Albert de Broglie (the gardening prince!) in the Arcades du Palais Royal in Paris.